It's useful to improve language. 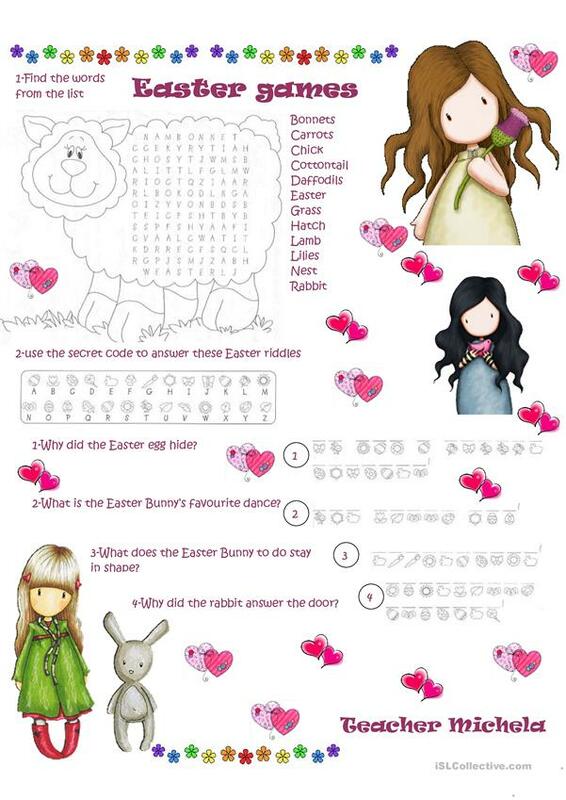 In the first activity, students have to find the words in the lamb from the list, and in the second one they answer the questions using the code and solve the riddles. I hope you like it! The present downloadable printable was created for elementary school students at Elementary (A1) and Pre-intermediate (A2) level. It was designed for working on your class' Reading and Writing skills. It is focused on the vocabulary topic of Easter.